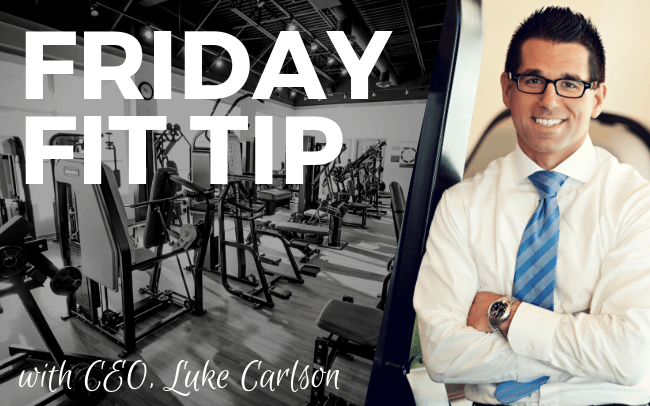 As young as Luke can remember, he would follow his father, a police officer, to the gym up above the police station in Shakopee and watch him lift weights (and oh man his reps were too fast). Luke’s passion only increased through middle school and high school as he lifted weights in order to prepare for football. His love for strength training has only grown with every passing year. As Howard Shultz says, “knowledge breeds passion.” The more Luke learns the more passion he has for intelligent strength training. In addition to exercise, what are you passionate about? I’m passionate about everything related to leadership, business, management, personal development and my family. Andy first became interested in strength training after seeing his father lose 120 pounds through strength training and nutrition. From seeing that transformation firsthand, he began to not only strength train and watch his diet, but he also began to create his own training programs. As this passion continued to grow during Andy’s first years at university, he realized that strength and conditioning was a career path that he could see himself doing for the rest of his life. Based on his experiences at both Discover Strength and Minnetonka High School, Andy is continually reminded of just how much he enjoys the field of strength training. Who are you the biggest fan of? For 16 years now, I’m proud to say that I’m the biggest fan of my little brother, Jakob. This wasn’t necessarily the case years ago as I would ask my parents when he was going “to his real home, and to his real parents.” Now, however, Jakob is my best friend, and everything I do in life is to help show him that anything is possible. Whether it be on the football field or during any other situation life throws at him, I do my best to support him in any possible way. Thus, I’m the biggest fan of my little brother, and I will continue to be for the rest of my life. In pursuit of Karin’s Psychology degree and improving her own health, she became fascinated by health psychology- what motivates people, attitudes towards exercise, and behavior change. Karin knew that she always wanted to help people and realized becoming a personal trainer or coach would allow her to help others reach their fitness goals. Karin never knew how empowering it would be to be a strong female. Through her own learning and training, she started to get stronger and knew that she needed to help others become stronger too! How is your career as a personal trainer meaningful to you? This career is meaningful to me because it is helping me live my purpose. It is incredibly rewarding to train people each day and see them work so hard toward their goals. It is inspiring to see their improvements in strength and quality of life. Emily used to avoid weightlifting in high school. Then last summer she committed herself to gain as much muscle as she could to improve her running and body composition. Emily instantly fell in love with how lifting heavy weights changed her body, her running ability, and her mindset. Emily was stronger; faster. She felt unstoppable. Emily has always dreamed of a vocation where she can help people better themselves through fitness. Now she’s living that dream. Artisanal food and craft beer. Bachelor of Arts in Health and Exercise Science from Gustavus Adolphus College. Cory became passionate about strength training through his participation in athletics throughout high school and college. He started to see a correlation between strength training and his improved performance in sports. This bred his passion for constantly striving to improve himself through health and strength training. Being able to interact with like-minded people who are passionate about exercise and improving themselves has brought value to my career. It inspires me to continually strive to be better. I also love working with clients on setting their own goals, and even better, I love to see them achieve their goals. Tom became passionate about strength training during his 4 years at college while training for baseball and taking his college courses. Tom enjoyed the challenge of strength training, the atmosphere of working out with his teammates in the weight room and pushing each other to get better. Taking college courses helped him understand what he was doing in the weight room, and how to effectively exercise. Tom went from not only working out hard, but working out smart. I am very passionate about baseball and cooking. Alex’s passion for strength training first began when he hurt his shoulder in high school. He began to strength train and rehabilitate his shoulder for hockey, and this sparked a passion he knew he eventually wanted to turn into a career. Who was the biggest influence in your career thus far? The biggest influence on my career thus far is my father. His passion for living a healthy lifestyle caught my attention at an early age. David enjoyed resistance training through high school. His accumulation of knowledge about strength training really bred David’s passion for it and ultimately prompted him to search for how he could turn it into a career. David participated in the Discover Strength Summer Intensive Internship Program which helped him gravitate toward an evidence-based approach. This set his exercise paradigm moving forward through college and now in his professional career in strength training. In addition to exercise, I am passionate about football, specifically offensive line. Maria became passionate about strength training at a very young age. Ever since she performed her first manual resistance workout with her dad in 6th grade she was hooked. Maria’s dad, who has trained at Discover Strength since its opening in 2006, was her soccer and hockey strength coach. Maria started training at Discover Strength shortly after and fell in love with the culture, people, atmosphere, and evidenced-based approach to strength training. It was then that she knew she wanted to be a part of Discover Strength’s team and pursue a degree in kinesiology with an emphasis in exercise physiology. Strength training helped her become an accomplished runner and helped her secure a D1 scholarship. My career as a personal trainer means the world to me. I’m not only passionate about the performance of strength training, but the teaching and implementation of workouts with clients. I am passionate about the positive effects that strength training can have on someone’s life. I am excited to continue to grow in my knowledge of strength training and share my passion with others. Strength training has changed my life and I love being able to share that with each client every day. Seeing others achieve their health goals brings a smile to my face. Emily played volleyball from middle school to her sophomore year of college, so she grew up living a pretty active lifestyle! In college, Emily started working at the YMCA as a fitness trainer, surrounded herself with active friends, and her passion for strength training grew from there! At the time, she thought that she had to spend at least an hour at the fitness center each day, if she wanted to see any form of results. Through Discover Strength, Emily has now learned the most efficient and effective way to strength train, and she absolutely loves it! One of my biggest passions is helping others, which ties in perfectly with being a Personal Trainer. Coming to work every day knowing that I have the opportunity to help better someone’s life is incredibly rewarding. Kelsy’s passion for strength training started around the age of 13 as a means to become the best athlete she could be. Yet, after her athletic career had ended in college, her passion developed into much more and became not just her field of study but also her most valued hobby and priority. Kelsy’s passion has evolved from a means to become a better athlete to thoroughly enjoying and valuing the physical, psychological, and emotional benefits that strength training offers. Trying new things, mindfulness, and riding my bike. David became passionate about strength training through his participation in high school and college swimming. He was always looking for something to give him that extra edge over his competition and David found that in the weight room. In college he realized he could take this passion for human performance to the classroom and turn it into a career. I am passionate about adventure. There is nothing more exciting than entering into the unknown and see what becomes of it. Kevin’s brothers were the real catalyst in his interest for strength training. They would bring him to the weight room three times a week starting at the age of 13. He didn’t understand what he was doing so he just mimicked his brothers. He found he was getting stronger which in turn helped him compete in football, basketball, and baseball. By the time he was 16 he was lifting three days a week and craving the feeling of completing an intense workout. Weight training also helped Kevin better control his diabetes. When he started college he had full access to the gym five days a week and took advantage of it, only to find that what used to be enjoyable had turned into a chore. That is when he was introduced to Discover Strength by a couple of friends. After his introductory workout he was left lying on the floor, trying not to get sick, and thinking to himself, “That was the hardest workout I’ve ever done.” He was hooked. Taylor’s passion for strength training started in junior high school when she took a summer speed and strength class to prepare for soccer tryouts. It was her first time following a strength program on a consistent basis and loved how it made her look and feel strong. Ever since then she has been hooked. Her passion for exercise, along with wanting to help others benefit from strength training, is what inspired her to earn a degree in Exercise Science and become a Personal Trainer and Strength Coach. When Taylor learned the safe, efficient, and effective methods evidence-based resistance training offers, she knew this is how she will train for the rest of her life. There is no better feeling than to be able to help someone else achieve their goals. I love helping people become better than they were yesterday. I feel value everyday in helping others to never stop improving. I also understand how amazing evidence-based resistance training is and the incredible plethora of benefits it offers. I believe every adult – young or old – should strength train and I feel proud to be able to build the tribe and make something bigger than myself. Jake become passionate about strength training in 7th grade while preparing for the upcoming hockey season. He enjoyed the challenge that strength training possessed as well as pushing others around him to become better. From that moment on, not a day went by that he didn’t think about strength training and the effect it could have on his sport performance. In addition to strength training, what are you passionate about? Besides strength training i’m passionate about baseball, especially hitting, and drag racing. Bachelor of Arts in Physical Education and Health Education from St. Cloud State. Master of Arts in Education from Hamline University. Rick became passionate about strength training as a junior in high school (1981). Rick became fascinated with all the aspects of strength training. In his college years, Rick became more interested in running and doing triathlons, putting little emphasis on strength training for 5 years. In his late 20’s, he started to study H.I.T., Nautilus and Arthur Jones more thoroughly, and started on the road to training correctly. Rick has been training consistently ever since. I am the biggest fan of Batman, except for the George Clooney version. Shame on you George! In high school Xavier played football and that is how he got introduced to strength training, trying to improve his football game. When he went to college at the University of Minnesota he used the things he had learned from his coaches in high school and strength training became a hobby of his. From there Xavier developed a passion for strength training in college as he saw my own progress and wanted to share that with other people! Xavier then got an internship at Blake as a Strength and Conditioning Coach and his mentor was Isaac Anderson who played football for the University of Wisconsin and briefly in the NFL for the Washington Redskins. Through that internship and under his leadership he confirmed that he wanted to be a strength coach/personal trainer. I feel like I am having a real impact on people’s lives not only improving their health physically but also mentally and improving their self esteem which is really powerful to me. Bronson’s passion for strength training comes from growing up as a three-sport athlete. He realized during his senior year of college that he could take that passion and turn it into a career. This goal was solidified after he attended the HIT Resurgence Conference (hosted by Discover Strength) with his strength and conditioning coach, Scott Savor. Bronson left the conference excited and motivated to learn how he could make strength and conditioning into a career. My clients mean the world to me. I thoroughly enjoy coming to work everyday knowing that I am helping to improve people’s health and well-being. Jake became passionate about strength training throughout his career as an athlete, especially while playing football at Gustavus. Strength training consistently while giving maximum effort helped him become the best player that he could be. Minnesota Sports…. Skol Vikes, Wolves and Twins! Kayla grew up doing gymnastics and strength training was just a natural part of the sport. To be in gymnastics, it is necessary to be strong so that you can move your body to do all of the extreme tricks and specific skills. Needing to have body awareness while doing a skill made Kayla more curious about the human body and is essentially what motivated her to major in Kinesiology at the University of Minnesota, where she also continued her career in gymnastics as a gopher. The combination of Kinesiology and gymnastics lead to her being passionate about improving the human body and really understanding how the body moves. Whose biggest fan are you of? Minnesota Vikings and Minnesota Wild. Jim has been interested in strength training since he was 15. While playing lacrosse and hockey in high school he really started to understand the significant benefits associated with strength training and human performance in those sports. Jim’s initial major was Computer Science which was not fulfilling for him. He went into Computer Science only to return to his passion for exercise and pursued a major in Kinesiology. He quickly found Discover Strength after college and fell in love with the methodology of science-based exercise. Strength training is such a unique tool because it not only allows us as trainers to give people a great experience, but also allows us to help our clients live longer and more fulfilling lives. To me, there is nothing that can be more valuable or rewarding than that. Greg has recognized the extreme value in strength training as early as high school. Strength training has always played a pivotal role in his own active and athletic life to not just aid in performance enhancement in sport, but to ward off the aches and pains that come from sports and activity. After his college years and competitive sports, Greg really sees the importance strength training has with the increased demands of aging. It has and always will be Greg’s fountain of youth. I also have a great passion for history. It tells us how we got to where we are. I personally believe it’s a great tool for creating our own future. All history intrigues me, whether it be the history of the exercise industry and its forefathers, our country’s history, or even my own family’s history and where we came from. I wouldn’t be anything without my past!